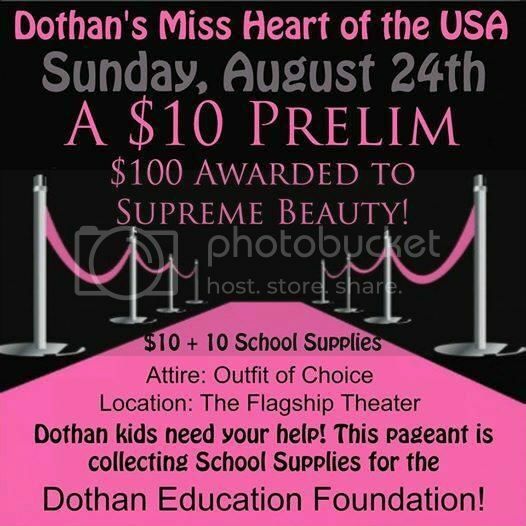 #1 - You will be helping Dothan area kids by providing them with much needed school supplies! 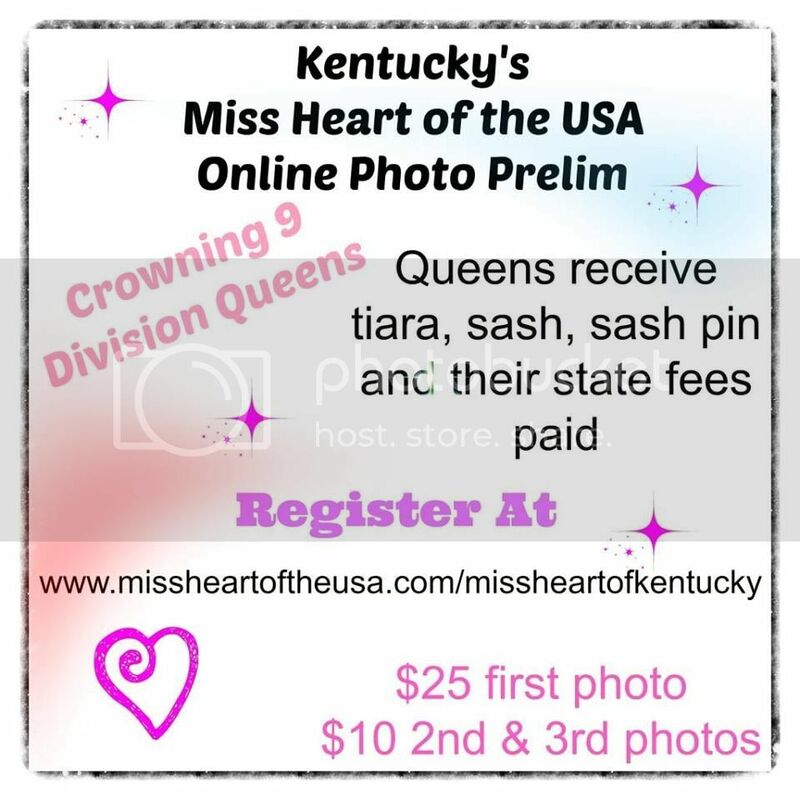 #3 - Where else can a $10 entry fee potentially get you...r entry fee paid ALL the way to an established National Pageant program that awards $1,000 at State & $7,000 at Nationals? 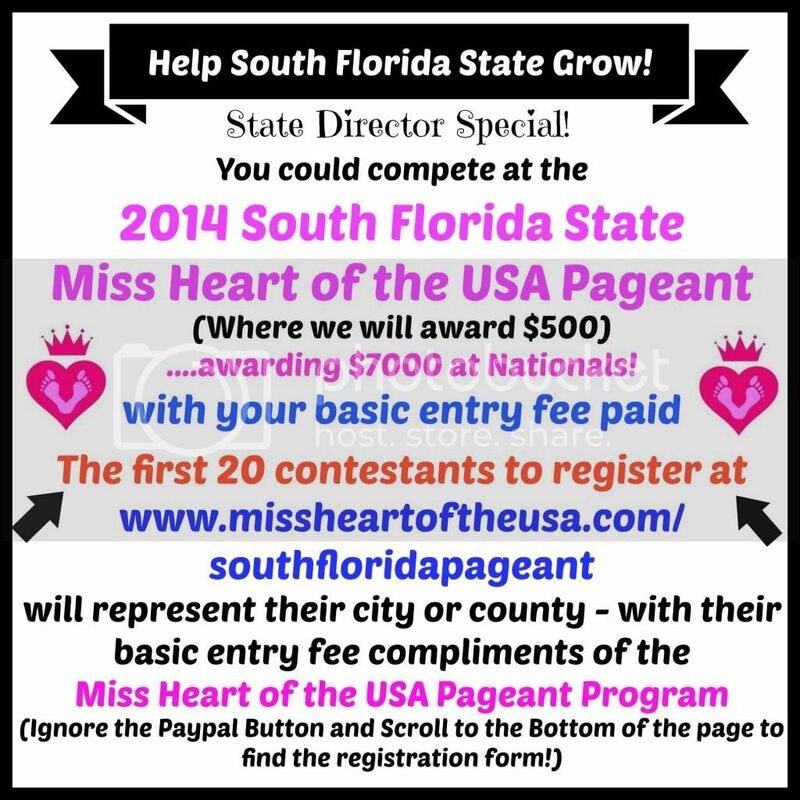 #4 - $100 is being awarded to our "Supreme Beauty" there is NO additional fee to compete for Supreme! 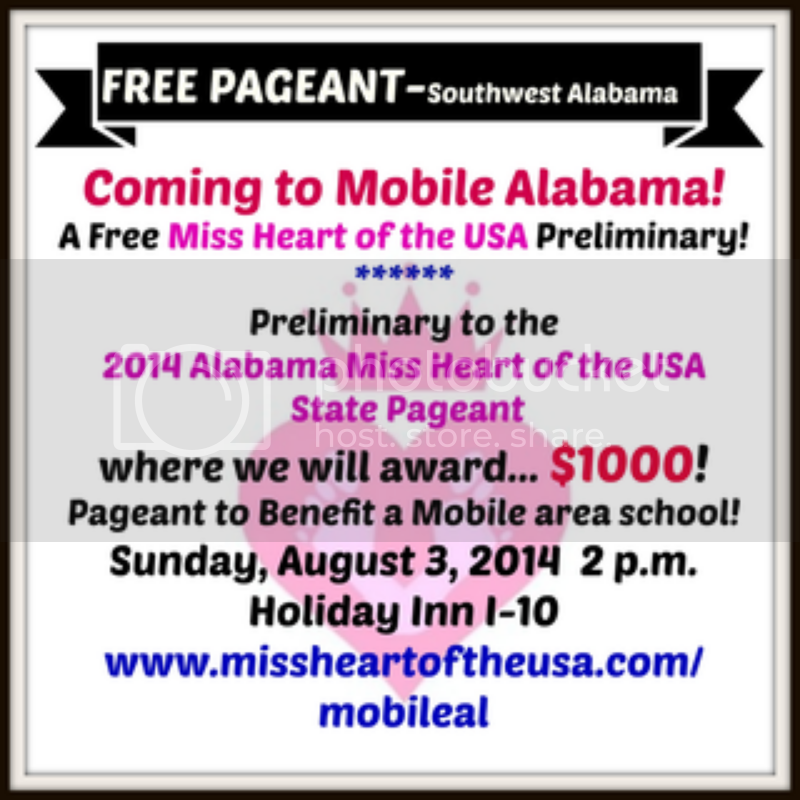 #5 - Since 2009 Miss Heart of the USA has been helping Wiregrass area families. Who doesn't want to be a part of that? FIRST 20 CONTESTANTS TO REGISTER RECEIVE FREE STATE ENTRY. 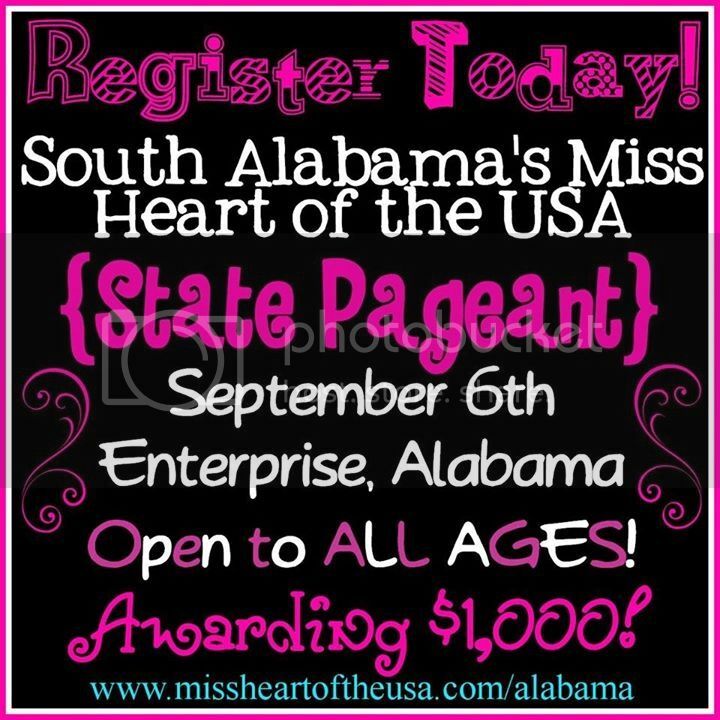 REGISTER TODAY!!!! LET THE DIRECTOR KNOW THAT YOU WERE SENT BY TIFFANY MILLER. 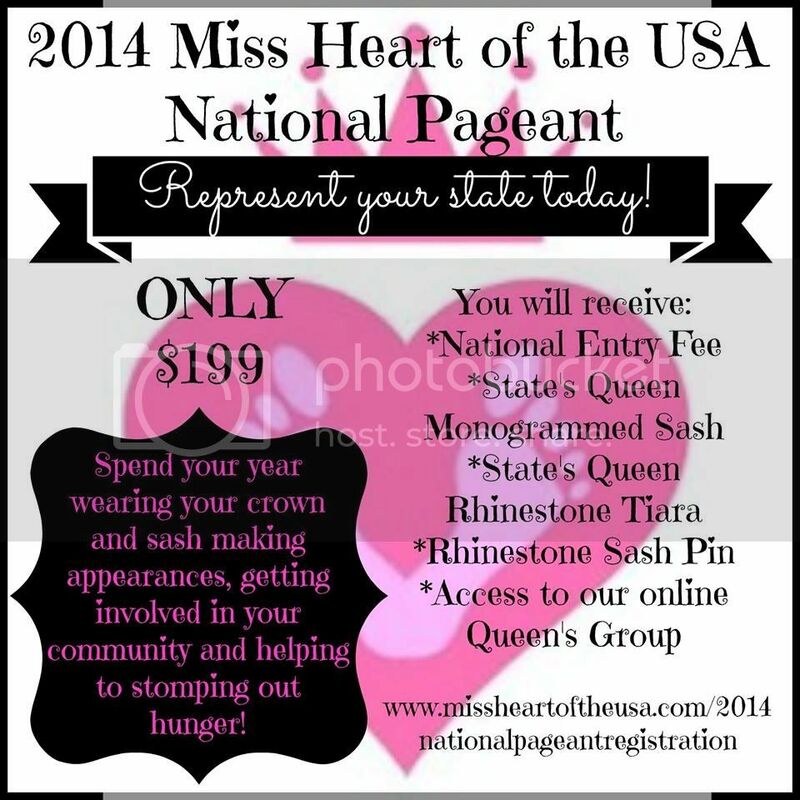 There is still time to represent your state at the National Miss Heart of the USA Pageant this November in FL. 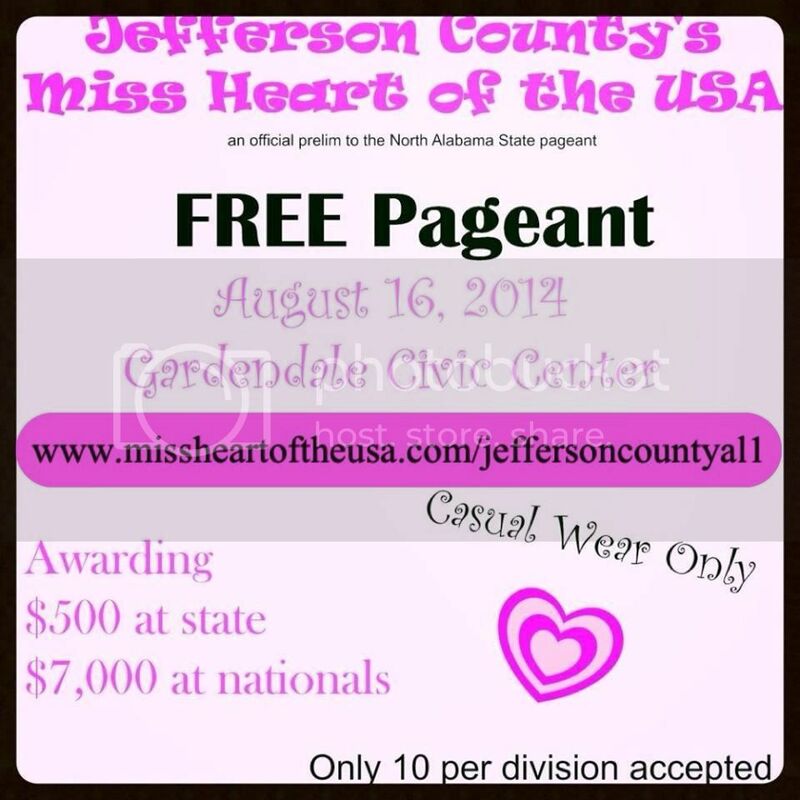 Does your state have a Miss Heart of the USA State Pageant? 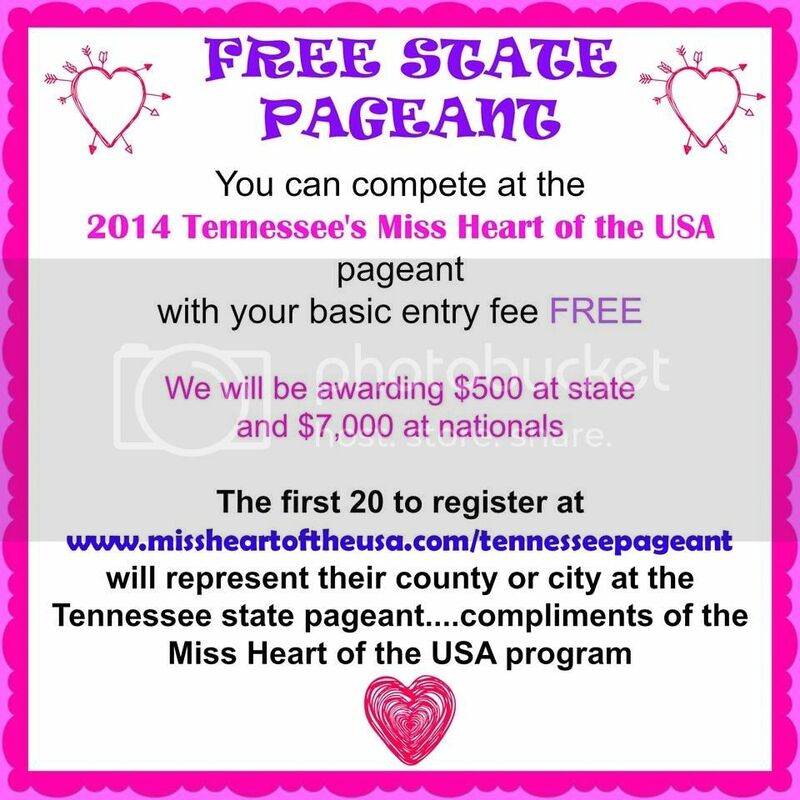 Sadly, Miss Heart of the USA will not be able to host a 2014 state pageant in your beautiful state! 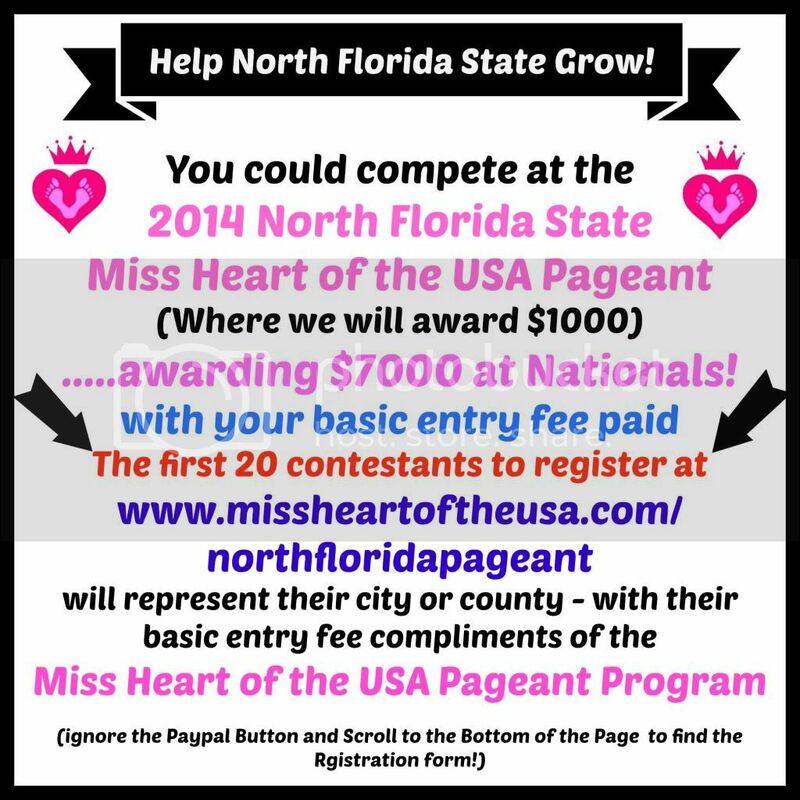 But you can register AT LARGE to represent your state at the 2014 National Pageant this November in Florida! 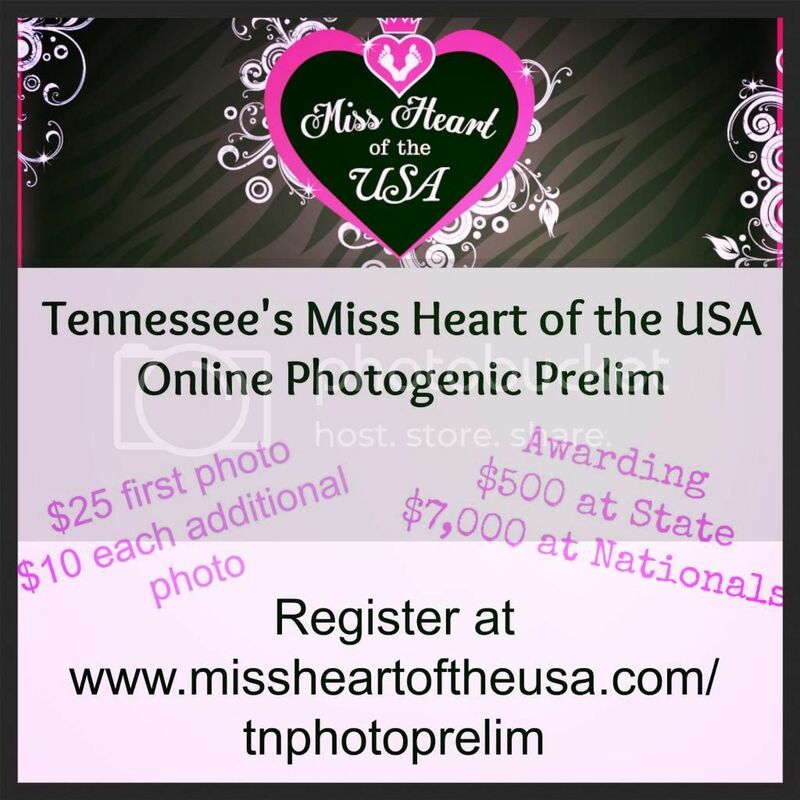 To register, go to www.missheartoftheusa.com/2014nationalpageantregistration and make sure to let them know I, Lillian Reeves, sent you!! Let them know you were sent by Tiffany Miller!!! !